Receding hairlines, patchy baldness and old scars can all add up to knock your confidence for six. While aging is inevitable, hair loss doesn’t have to be. 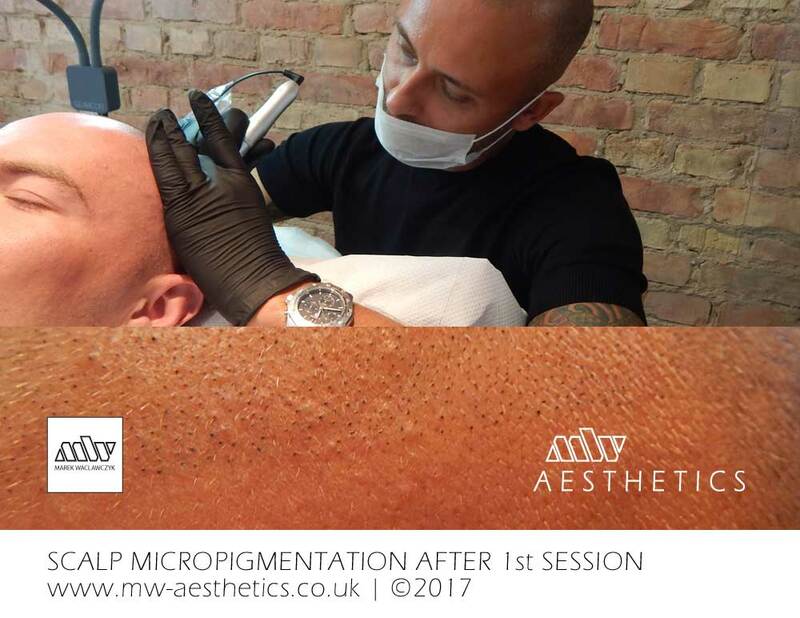 Thanks to new breakthroughs in micropigmentation, men and women can now benefit from a natural, attractive alternative to unwanted hair loss. Here at MW Aesthetics, we are proud to offer our clients effective, professional treatments to regain your good looks. 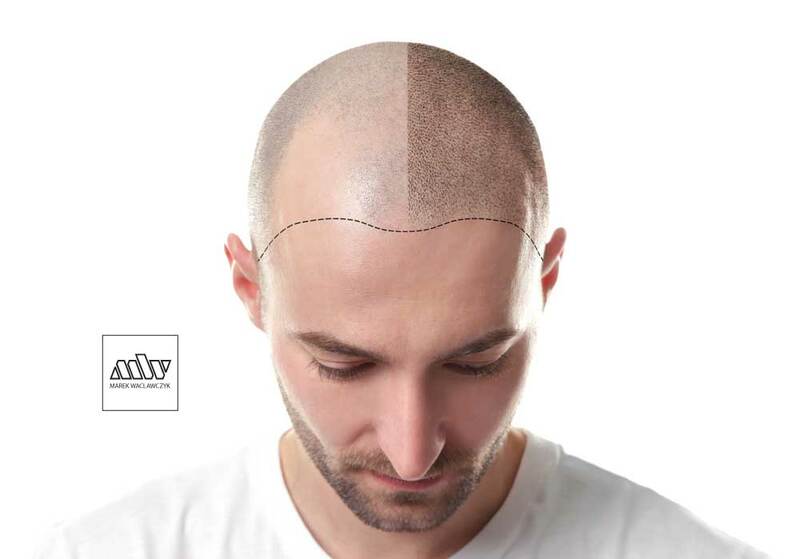 Scalp micropigmentation is not only affordable, it’s also virtually impossible to tell apart from real hair follicles. Using patented technology and cosmetic grade pigments, our treatment will provide a subtle yet transformational result, giving you back the confidence you deserve. Our treatment offers an exciting alternative to hair transplants, bringing you results that are indistinguishable from the real thing. 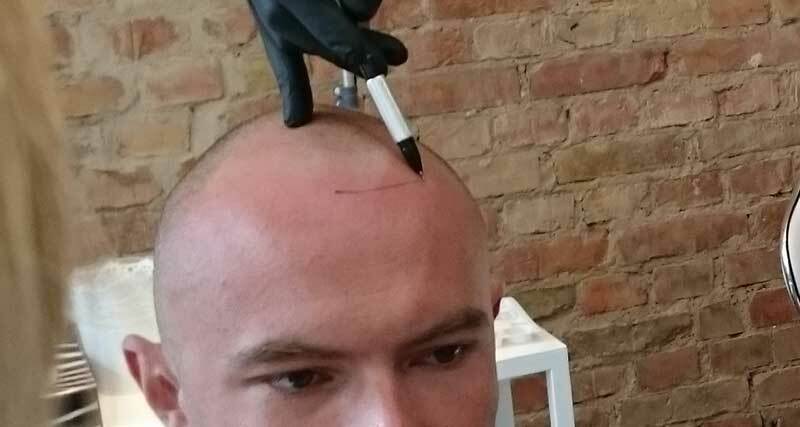 Also known as ‘Hair Follicle Simulation’, scalp micropigmentation offers an advanced, high quality solution to the problem of both male and female baldness. Using a special technique, small drops of specially developed pigment are injected into the top layer of the scalp, right into the spots where there is a lack of hair to mimic and simulate growing hair. The procedure involves the use of a single needle, meticulously forming realistic follicles into which we implant the colour pigment. Artistic use of shading and advanced colour matching ensures the end result is perfect, creating a naturally groomed, close shaved appearance. Scalp micropigmentation can be used to treat large or small areas, covering up extensive hair loss or simply treating small patches where there are problems. We work with you to produce a hairline that perfectly frames your face, appropriate to your head shape, age and preference. We can conceal scarring from accidents, alopecia and more, as well as disguising birth marks and boosting the effect of previous hair transplant surgery. Consultation: We talk to you about what you want to achieve, look at your natural hair colouring to choose the right pigments and discuss your revised hair line with you. We’ll also conduct a patch test to ensure you don’t have any reactions to the pigment we will be using. We can conduct our initial consultation over the phone, posting out the patch test for you to undertake yourself before your appointment, meaning you can finalise the consultation process at the same time as your first colour application. First colour application: For this initial treatment, we will pre-draw your new hairline to suit your head shape and features and then apply a light covering of pigment colouring in the form of tiny dots, perfectly simulating natural hair follicles you would see on a clean-shaven head – just enough to give the faint impression of hair regrowth. We ask you to allow the pigment to settle, as it takes around 48 hours for the pigment to fully develop. Your second appointment can take place as soon as around seven days later. Second treatment: Here we assess how the colour developed following the initial appointment. We will add some more colour, which can be darker depending on your personal preference or the look you desire to achieve. Using artistic techniques, we’ll add volume and dimension to the hair, gradually building density to your hair line to achieve the best possible result and most natural look, paying special attention to any problem areas such as scars or patches of hair loss. Follow up appointments: You may need one or two more appointments to perfect your scalp micropigmentation, which can be booked as soon as 7 days after your second session. However, most clients decide to have a longer break of around four weeks between the treatments, so that friends and colleagues don’t notice any dramatic change in their appearance. We’ll work hard to ensure you are 100 per cent satisfied with the end result, modifying hairlines, building up the volume, density and improving the look to perfection. This four-step approach ensures a gradual build-up of hair volume and growth to ensure the most natural results. Not only is our procedure cheaper than hair transplantation, it’s also more effective, as results will fade over time allowing us to modify your touch ups to account for any changes in your hair loss. 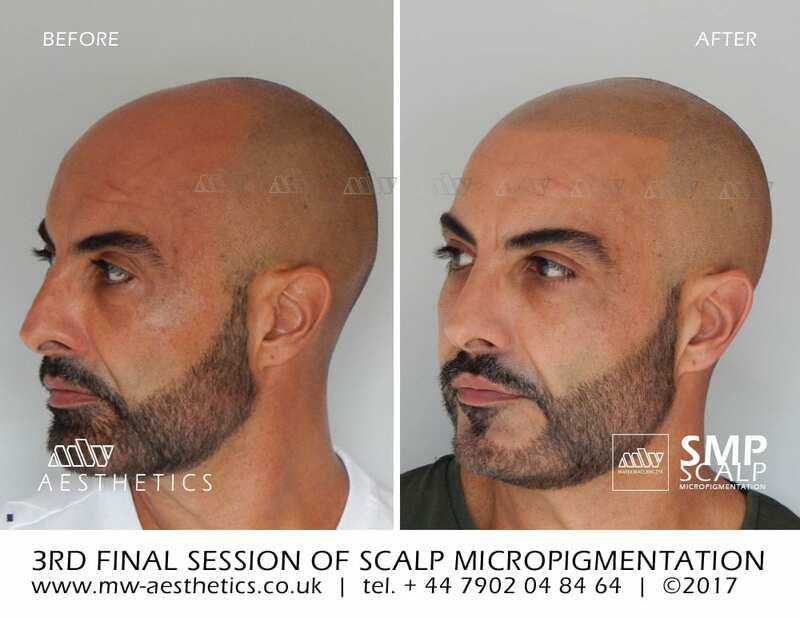 Who can benefit from scalp micropigmentation? Everyone is able to enjoy this revolutionary treatment, regardless of age, skin tone or hair colour. We treat both men and women who are suffering from hair loss, helping them to look their best every day. The process is perfectly safe as it is conducted by a licensed, trained professional in a clean, hygienic environment. We choose to use natural pigments which will minimise the chances of allergic reaction, and there are no drugs or medicines involved. Compared to other forms of treatment for hair loss, a scalp tattoo is one of the safest and easiest choices.